The World Cup has been an eye-opener for Russian waitress Lena Tikhomirova: mingling with visiting fans and experiencing new cultures has whetted her curiosity and now she plans to live abroad. "I love Russia. I love Nizhny Novgorod. But .... I want to meet new people and study in another country, that would be so cool," said the 21-year-old. During the tournament, that changed. Russians have taken pride as throngs of foreign fans have revelled in an atmosphere of cosmopolitan openness and laissez-faire policing that has washed over the tournament's eleven host cities. "It has changed a lot in my life, my attitude towards foreigners," she said. "It seems to me the city has changed too. This place is more cheerful now, it is lively. 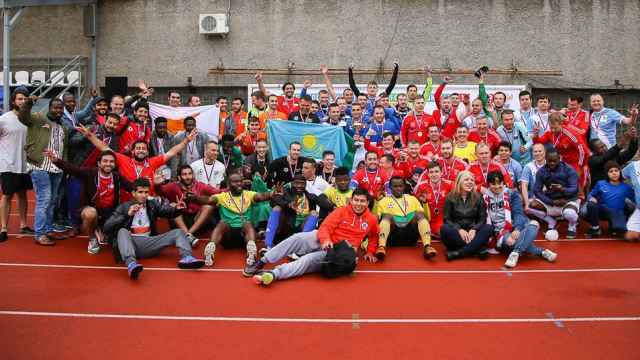 The people enjoy it and smile," said Tikhomirova. For the artist community, the World Cup has been like an "emotional adventure" that is influencing and permeating local art, said gallery owner Georgy Smirnov in Nizhny Novgorod. Graffiti murals have sprung up around the city, while the tournament has inspired underground artists like Egor and Seva of the TOY art collective to paint a series of football-themed paintings for an exhibition at Smirnov's gallery. "I think the [World Cup] will affect the whole country and people's attitudes and conscience will change," said Egor, speaking to the camera in a balaclava because of past run-ins with the police. 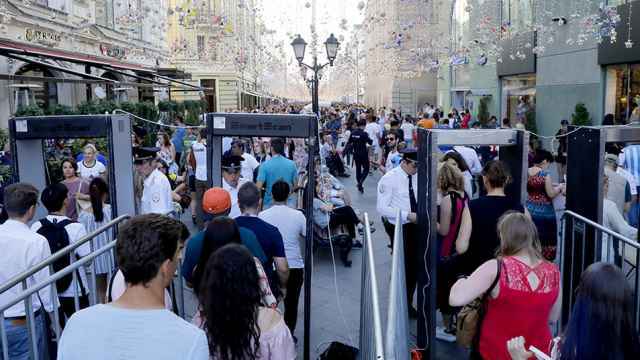 Moscow has been the scene of late-night, boozy street partying centred around a pedestrian thoroughfare stretching from Red Square to the former KGB headquarters now run by the Federal Security Service (FSB). The lenient policing towards alcohol consumption in the street has bemused many. A video shared on social media shows a Russian man holding a can of beer in a street toasting police officers, asking them if he will be able to able to continue drinking on the street after the World Cup. "I was against holding the World Cup here but I can see how much of a celebration this is for people so I think probably it was a good thing," said Svetlana Gannushkina, a rights advocate who works with migrants and refugees. Gannushkina spoke to Reuters during a football tournament by the Kremlin walls put on specially for document-less migrants who are often targeted by police on the metro. She said police have been unusually "kind and polite" throughout the tournament. "The police are handling themselves decently towards everyone," she said, adding however that she had "no hope" it would remain like this in the long-term. "We will never see something like this in our life again," said Konstantin Pechyonov, an elderly guitar-strumming busker in Nizhny Novgorod. "Unfortunately, the party is coming to an end."